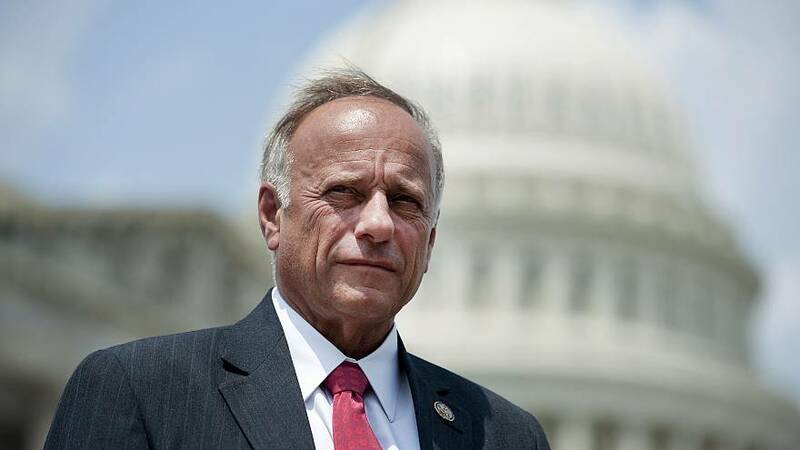 The House overwhelmingly passed a resolution on Tuesday disapproving of racist remarks by Rep. Steve King, R-Iowa, amid a wave of bipartisan denunciation. H. Res 41, introduced by Majority Whip James Clyburn, D-S.C., says that "the House of Representatives once again rejects White nationalism and White supremacy as hateful expressions of intolerance that are contradictory to the values that define the people of the United States." The resolution was supported by all Republicans and every Democrat except for one who favored a harsher punishment. The rare reprimand came after Republican leaders effectively disavowed King in response to a recent New York Times interview in which he asked: "White nationalist, white supremacist, Western civilization — how did that language become offensive?" King, who had claimed his remarks were taken out of context, supported passage of the resolution, which mentions his comments by name alongside murderous hate crimes like the 2018 Pittsburgh synagogue attack and the 2015 Charleston church shooting. "I'm putting up a 'yes' on the board here because what you state here is right and it's true and it's just," he said in a floor speech ahead of the vote. As many Republicans noted in their condemnations of King, however, it was only the latest in a long series of incidents in which the Congressman aligned himself with white nationalist and anti-Semitic figures and parroted their racist rhetoric.